We believe in recycling 100% of our green waste. There is a lot of biomass created by tree work: branches, leaves, and brush. 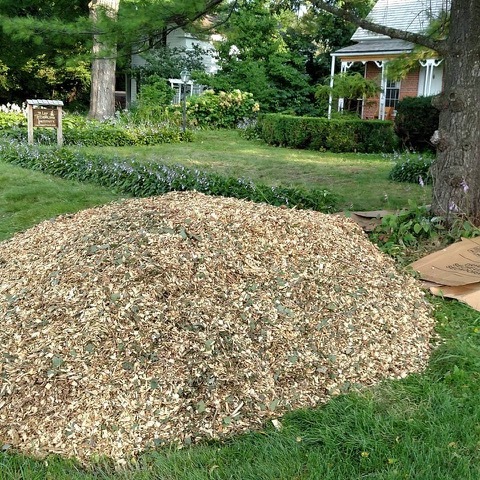 Through the use of our wood chipper, we turn the mess into something we can all take advantage of - wood chips! We are interested in the benefits of a permaculture system, utilizing wood chips as soil-builders for long term benefit. We use our wood chips for mulch, composting, weed control, livestock bedding, playground areas and decorative wood paths. We also donate them for our neighbors (like Doudlah Farms, FarmRite Organics and the Low Technology Institute) so they can do the same. Please feel free to contact us today for your delivery.